EU leaders have differed sharply over how a new deal on curbing irregular migration will work. So has Europe’s migrant crisis now been solved? In a word, no. On two fronts. Firstly, that of preventing illegal migration and saving migrant lives. Take for example the processing centres that are to operate inside and outside the EU. The idea behind those is to put economic migrants off coming to Europe as they’ll know only those with a legal right to asylum or refugee status can stay. But these processing centres are voluntary. We don’t know where or when (or if) they will be operational – and in the meantime, migrants will keep making that perilous journey across the Mediterranean. The second failure is more of a half-failure, and it’s a political one. Let’s face it – with the sharp drop in arrivals to Europe, the stresses and strains between EU countries are clearly political. The fact that leaders like Germany’s Angela Merkel leave this summit claiming that “a significant step forward has been taken” is a hint that, in true EU summit style, leaders have papered over the cracks. But is Europe North, South, East and West united now over a common migrant and asylum policy moving forward? Absolutely not. Who gets what from the deal? 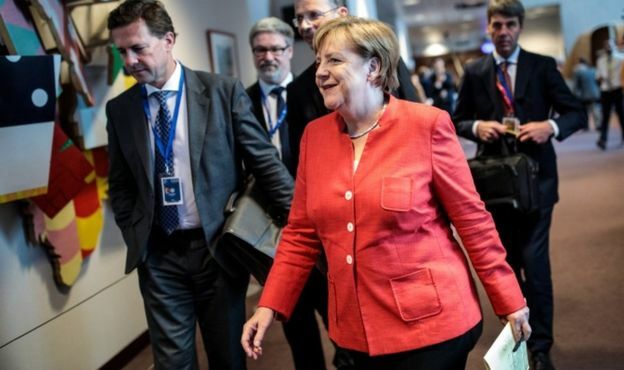 The deal is being billed as a lifeline for Mrs Merkel, who has faced a political crisis at home where a key ally, Interior Minister Horst Seehofer, has threatened to start turning away migrants who have already registered elsewhere. Italy also differed with Spain and Greece who agreed to take back migrants registered on their territory who had travelled on to Germany. Italian Prime Minister Giuseppe Conte had earlier taken the rare step of blocking the conclusions of the summit’s joint communique until the leaders had settled the migration issue. Where would the secure centres be built? The centres are meant be set up by EU states on a voluntary basis, but there are no details on which nations might host them or take in refugees. 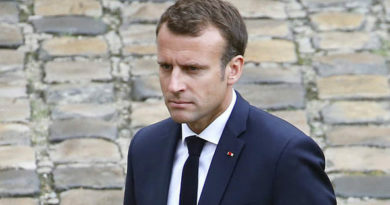 French President Emmanuel Macron said they would be in countries where migrants initially arrived in the EU, and that France would not have any as it is “not a country of first arrival”. But Mr Conte told reporters that all EU states would be able to establish the centres, “including France”. 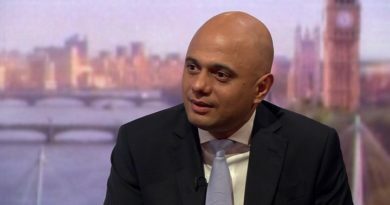 He suggested Mr Macron had been “tired” when he spoke. About 56,000 migrants have arrived in Europe so far this year, the International Organization for Migration says, compared to more than a million in 2015. Several Central European states have so far rejected an EU scheme to relocate 160,000 refugees from overcrowded camps in Greece and Italy. How have aid agencies responded? Non-governmental organisations have fiercely condemned the deal, saying it betrays vulnerable people and those trying to stop them dying in the Mediterranean. The deal also aimed to “demonise non-governmental search and rescue operations”, MSF’s emergencies chief Karline Kleijer said. On Friday, around 100 people were said to have drowned off the Libyan coast, with 16 rescued. Reality Check: Who is responsible for migrants at sea? 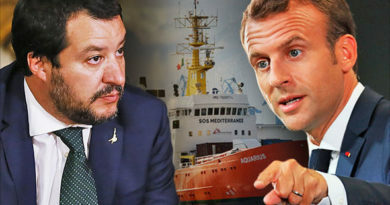 Italy’s anti-immigration Interior Minister Matteo Salvini has previously railed against rescue ships run by international NGOs, and said on Friday that they helped people traffickers “consciously or not”.